Conceived by Alister MacKenzie and Bobby Jones in 1931 and built on the site of the oldest nursery in the South, the golf course at Augusta National is unique, iconic and arguably the most famous in the game. 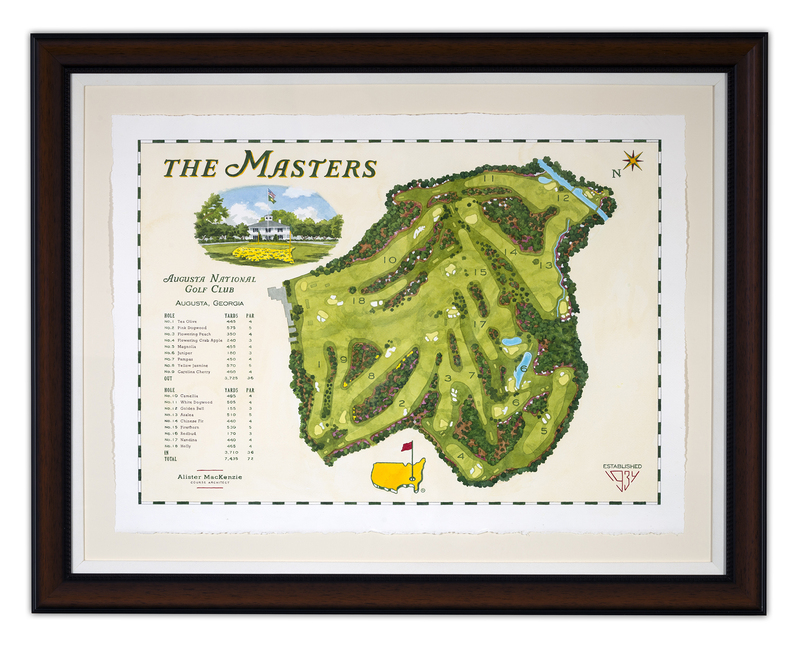 The course opened in 1933 and has been home to the Masters Tournament since 1934. Featuring generous fairways, demanding approaches and undulating green complexes, this golf course has been the stage for many of golf’s most spectacular moments. Lee Wybranski’s watercolor rendering of the golf course showcases the strategy of routing and the beauty of the landscape in full spring bloom.